Early Friday morning several teams of Rowan students, each under the guidance of a professor from the College of Humanities and Social Sciences (CHSS), met in room 221 of the Chamberlain Student Center. 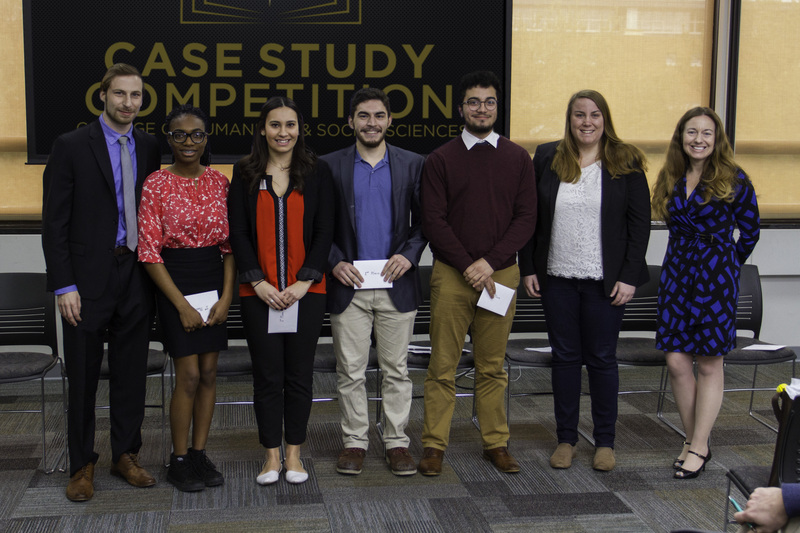 The students were there as part of the inaugural CHSS case study competition, in which students presented their solutions to a theoretical situation. 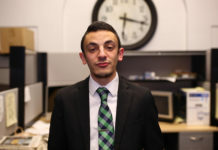 In this particular instance, the case study dealt with the question of what to do about inviting a controversial speaker to campus at the fictional “Garden State University.” Teams showcased their ideas in front of judges, who after hearing them present would ask the students questions relating to their solution to the case study. 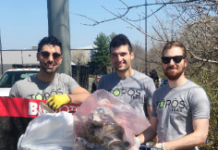 One of those judges was Jason Rindosh, a Rowan alumnus who graduated in 2009 with a double major in philosophy and history, who now works as a partner at Bedi Rindosh, a law firm. Rindosh said that every team really stepped up their game and made a positive impression on him. After each of the five teams finished presenting, the judges excused themselves to deliberate. Following the small break, the winners were announced. 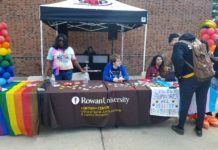 The team lead by Dr. Misty Knight-Finley, an assistant professor of political science at Rowan, won the competition. After the results were announced, she had nothing but good things to say about her team’s performance and the obstacles they overcame along the way. Knight-Finley’s team was made up of Rowan students Juan Florez, Monica Monteiro, Austen Johnson and Trishawna Forde. The members of the group all agreed that the friendships they had made working on this project were a benefit to the competition. 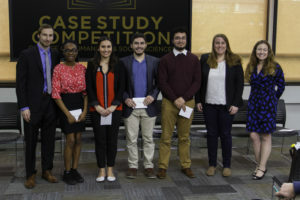 And for Monteiro, a junior English major, the competition brought with it the chance to see other teams responses to the case studies.